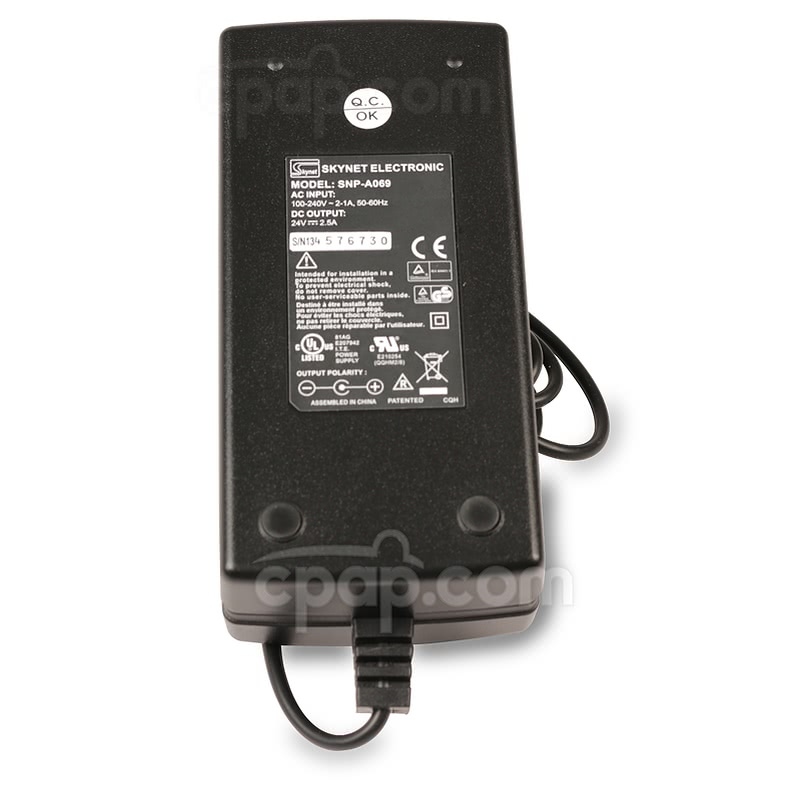 " Very quiet, easy to use, and much smaller than my old unit. Could not be happier with this machine. " 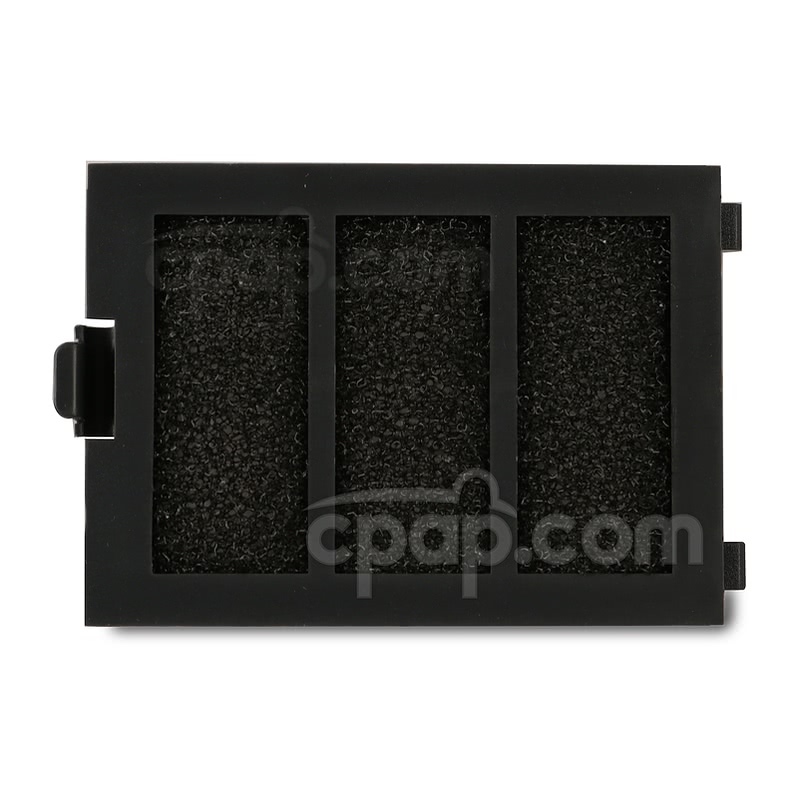 " Great CPAP, great value. This machine has been more pleasing than the more expensive model that I use to have. I highly recommend this device. " 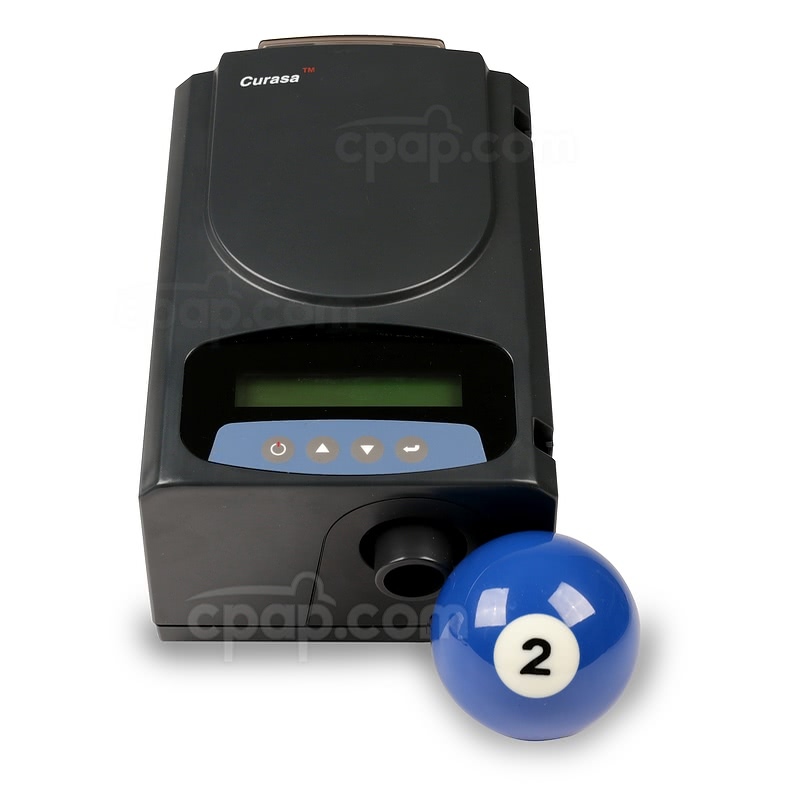 The Curasa CPAP Machine with EUT is a travel sized machine with features aimed to increase comfort and ease of use. Included is a padded travel bag formatted to fit the machine and accessories. 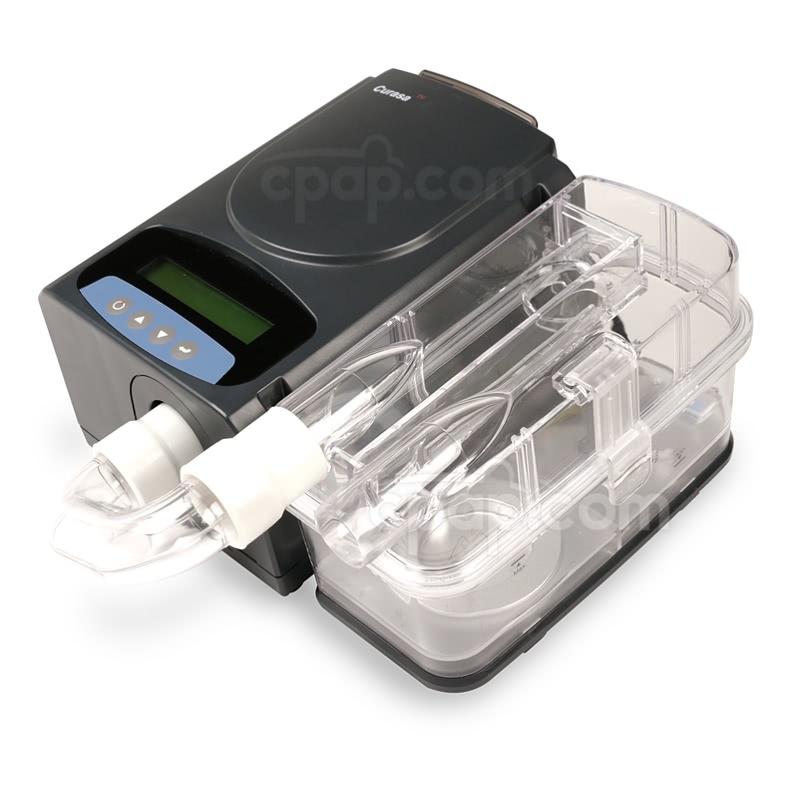 The Curasa CPAP Machine with EUT is a small and lightweight machine that has features found on many more expensive devices. 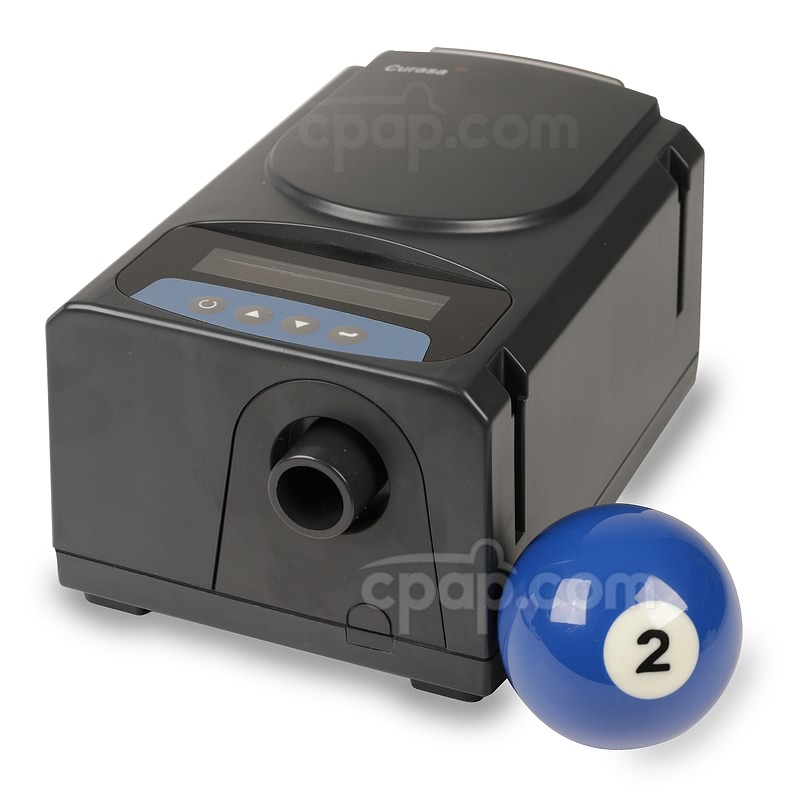 This is a single pressure CPAP machine and does not automatically adjust the pressure. The Curasa weighs 2.4 pounds and is sized for travel and convenience. A padded travel bag is included with the purchase of the machine. 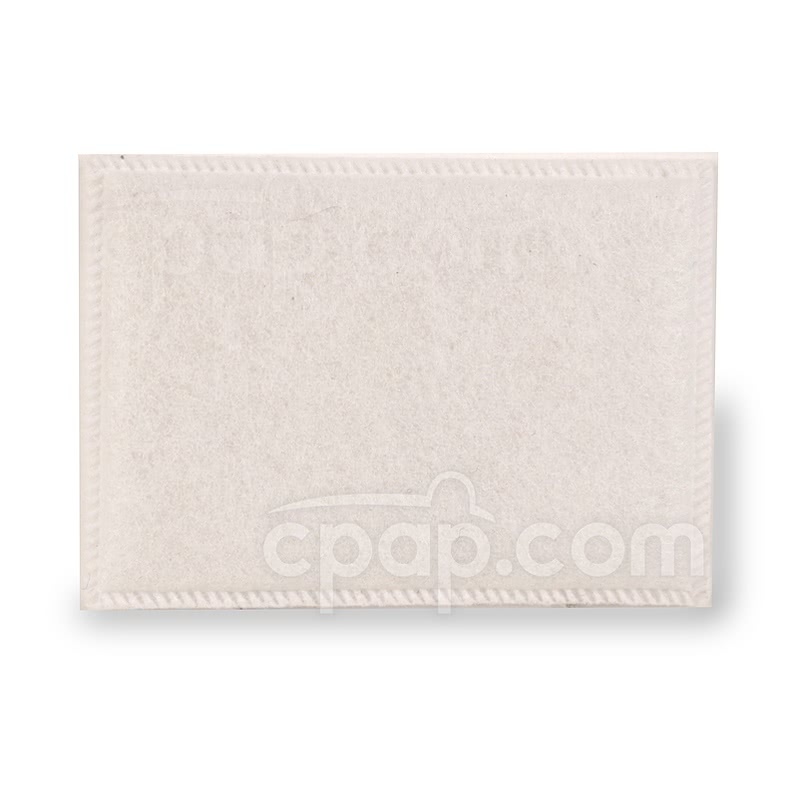 It is designed to hold the machine and power supply, hose and OPTIONAL heated humidifier. The machine itself measures just 7 1/8 in L x 4 5/8 in W x 3 1/2 in H.
The unique design of the Curasa and humidifier makes for a small foot print on a beside table. 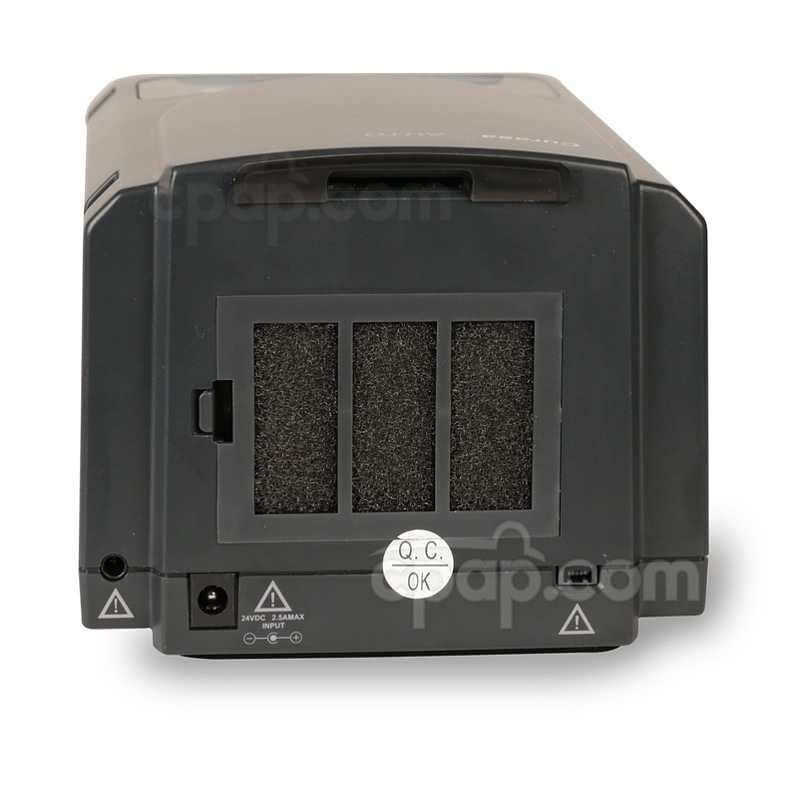 The combined humidifier base and chamber top slides into slots on one side of the machine. The humidifier connects to the machine using the jump cord built into the humidifier base. 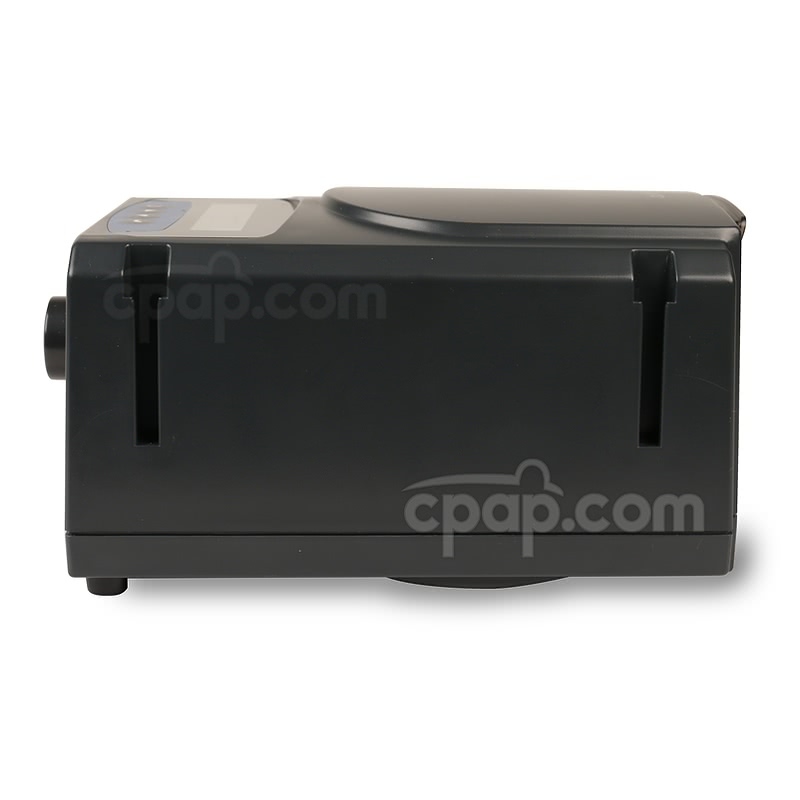 The level of humidification is adjusted by turning the pin on the back of the humidifier. 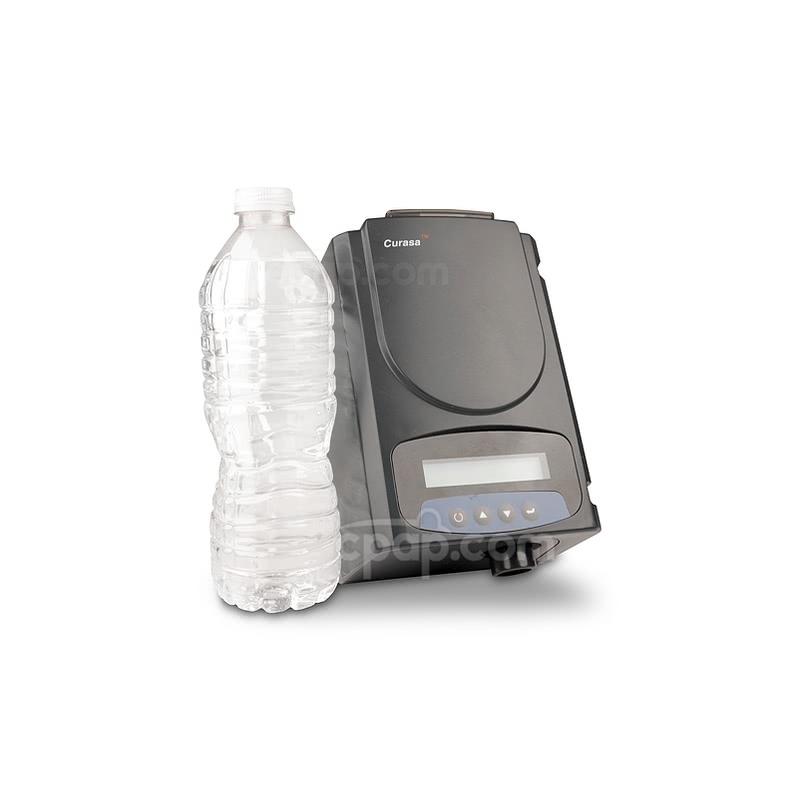 The OPTIONAL humidifier and machine together measures 9 in L x 7 3/4 in W x 4 in H.
EUT (Expiratory Unloading Technology) is a comfort feature built into the Curasa CPAP and offers a drop in pressure at the time of exhalation. Pressure relief increases the comfort of therapy and feels more natural. The EUT feature has three settings with 1 being the slightest drop in pressure at exhalation and three being the largest. Or, turn the EUT setting OFF by setting the machine in "CPAP" mode. 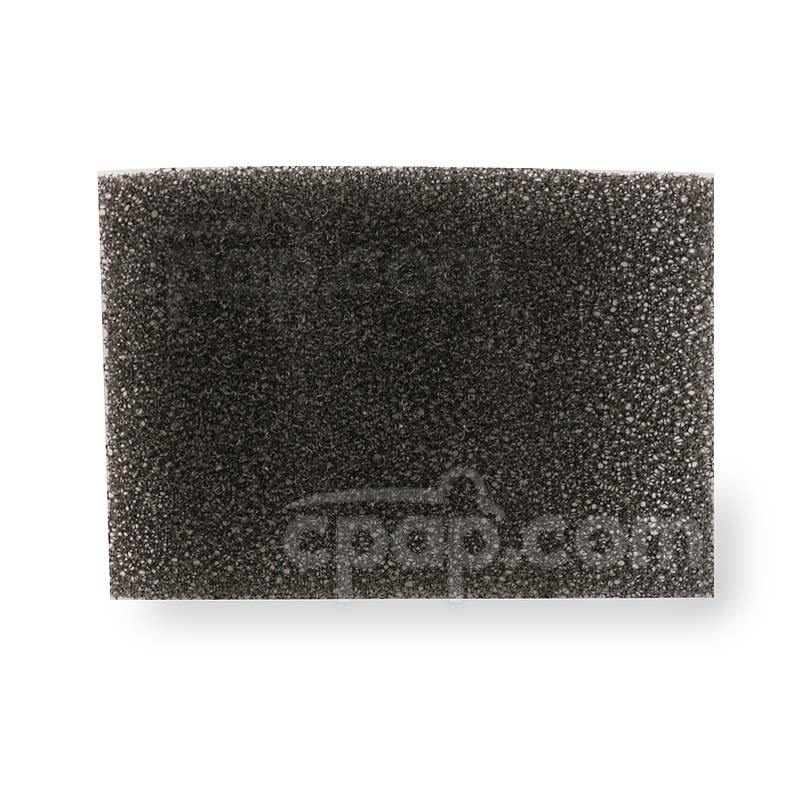 Ramp allows the pressure to start lower than the prescribed pressure to ease into sleep. The Curasa ramp can be set up to 60 minutes and can be adjusted in 1 minute steps for maximum customization. The machine will work up to the prescribed pressure as it reaches the set ramp time. 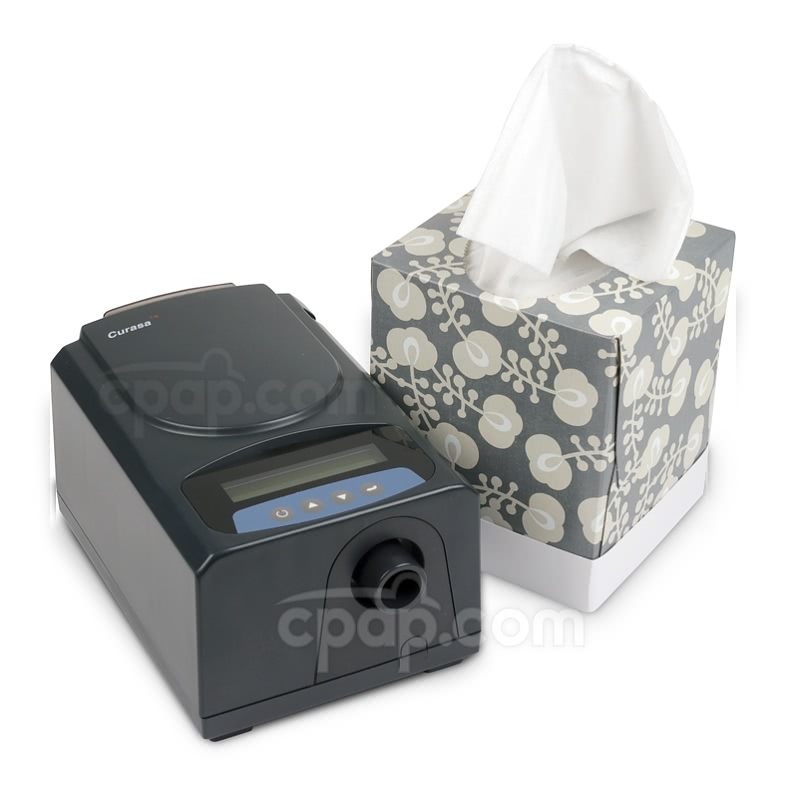 The Auto On (AUTOON) feature allows the Curasa CPAP to detect when the mask is on the user and he or she is breathing. The machine automatically begins providing the therapy air stream without having to press a button. This feature may be turned off if desired. 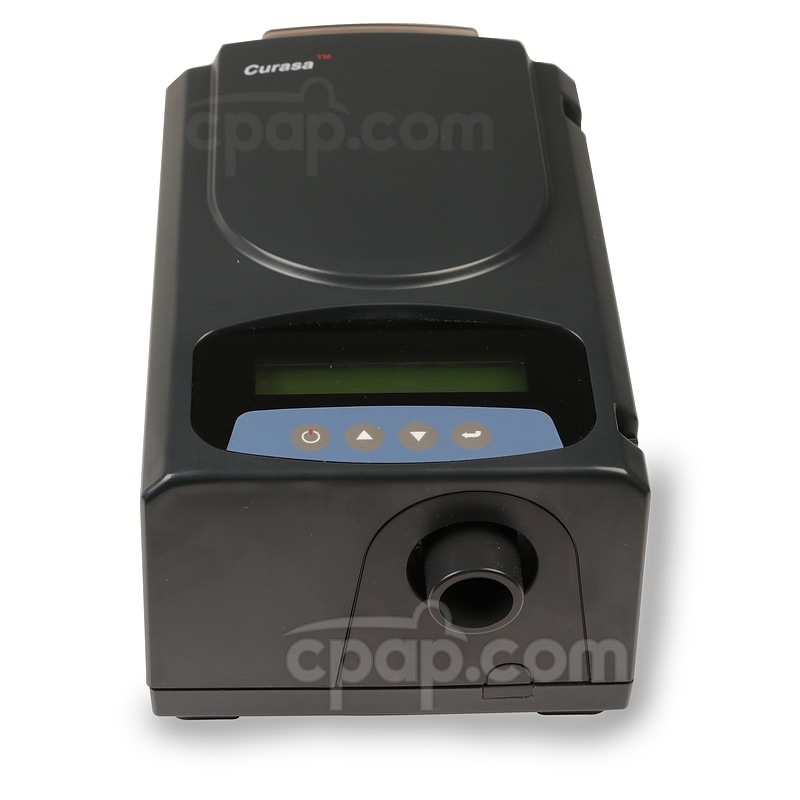 If the power goes out while the Curasa CPAP machine is running, the machine sounds an alarm to notify the user of the disruption in power. To silence the alarm press the power key. The power out alarm will also sound if the power cord is disconnected from the wall outlet while the machine is running. The power out alarm function cannot be turned off. 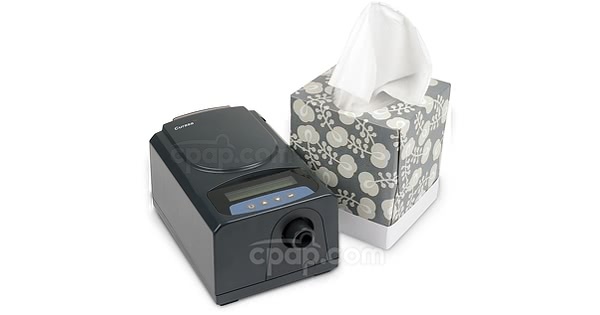 The user manual included with this machine can be viewed and downloaded here: Curasa CPAP Machine. Please Note: The data will appear slightly different based on the type of machine. On the CPAP machine, the words: Mode and CPAP show on the screen. When selecting to change the EUT setting, make sure the star symbol is next to the word 'MODE'. Press enter by selecting the curved arrow button found on the right side of the machine. 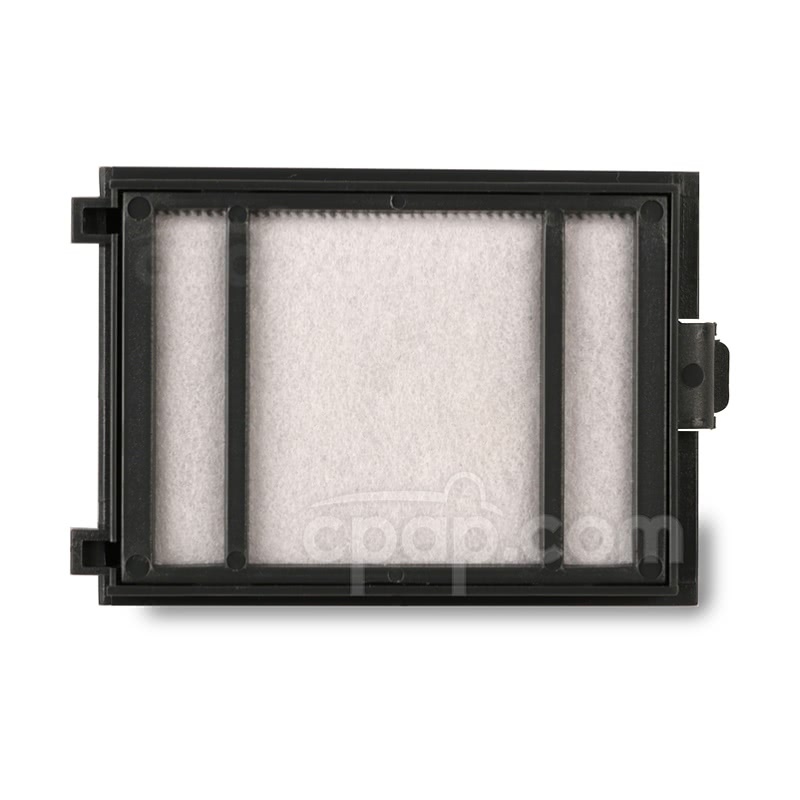 The word 'CPAP' will begin to flash. Using the up and down arrow, navigate from CPAP to EUT 3. Scroll down to reach the range EUT1 to EUT3. EUT 1 is used to represent the smallest drop in pressure at exhalation, while EUT 3 denotes the largest drop in pressure at exhalation. Finalize the selection by pushing the curved arrow button. DO NOT wash the humidifier in a dishwasher.